As one of Michigan's top RV supercenters, Tradewinds RV Center strives to give our customers the best RV buying experience anywhere in the nation! 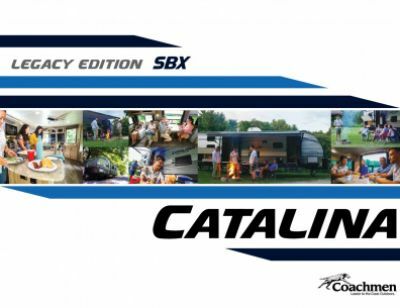 If you've dreamed of owning the 2020 Coachmen Catalina Legacy Edition 303RKP Travel Trailer, we'll make that dream come true with our sensational low prices and great financing options! So drop by and see us at 4325 W Vienna Rd Clio Michigan 48420! Don't live in Clio? No problem! We have satisfied customers across the nation and we have 24/7 store-to-door delivery anywhere in the country! Give us a call today at 810-686-0710 and let us make your RV dream a reality! You'll save $1000s and be on the road to adventure in no time! The 21' 0" power patio awning opens easily to provide shade and UV protection when everyone's relaxing outdoors! It's 35' 3" long, 8' 0" wide, and the sturdy GVWR of 9800 lbs. means this RV will give you years of camping fun! It's very towable with a hitch weight of 808 lbs. 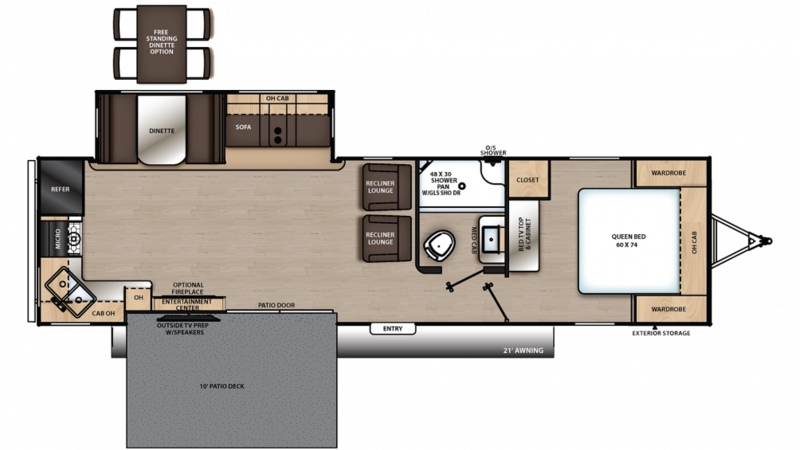 The living area is roomy and comfortable due to this RV's 35' 3" length, 8' 0" width, and the 1 power slides that open up to maximize the interior space! The efficient 35000 BTU furnace, as well as the modern 13500 BTU a/c unit, keep the temperature indoors perfect, no matter what the weather is like outside! Snuggle into the cozy Queen bed for a good night of sleep in the master bedroom! Of course, this isn't the only place to get a full night's rest! There are enough sleeping accommodations throughout this comfy camper for up to 4 people! You don't have to forego great meals when you're on the road in the Coachmen Catalina Legacy Edition 303RKP because you'll have a marvelous kitchen replete with a full array of modern kitchen appliances. That includes a 3 burner range cooktop, 7.00 cu. ft. refrigerator, and more! You'll cook up delicious meals morning, noon, and night; and clean up's a breeze with plenty of hot water from the 44 gal. fresh water tank heated by 40 lbs. of LP tank capacity. Fun under the sun or under the stars takes a big leap forward when you open up the roomy patio deck of this Travel Trailer! Nothing makes a party more enjoyable, so crank up the music, put out the lounge chairs, and get to it!